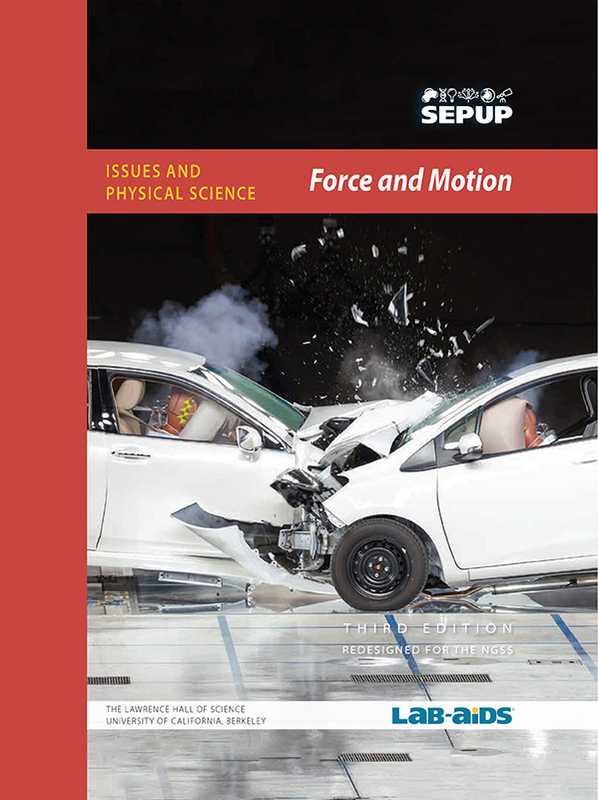 This Force and Motion unit is part of SEPUP's Issues and Science three-year Middle School program. Each unit of the program incorporates science and engineering concepts and practices with current issues. Click here to submit your students’ data to see how your class results compare to the results posted by other classes who did this activity. Click this link to go to the Vernier Go Direct® Motion setup page. From this page, you can select the type of tablet or computer you will be using and it will provide instructions for setting up the software required. Click the link to learn more about an example of Newton’s third law in nature. After Activity 12, you may wish to provide students with an opportunity to read and article about vehicle safety features that help keep passengers safe while coming to a stop. In this optional extension, students will engage in literacy activities while reading a text about the features of a car that help keep passengers safe when coming to a stop. Click the link to learn about how one car company is using brain research to inform the design of safe vehicles. If your students would like to learn more about the science of car crashes or have more questions about the science of car crashes, you may wish to click the link to explore free educational resources about this topic.